Vol I: When the Wu Tang Clan erupt in 93 with those Kung Fu flick samples it was a revolution in the hip hop sound. The visuals we're strong and you could feel the action in the airwaves. Today we can still hear underground producers sparkling those awesome sounds on top of lo fi hip hop beats bringing back that raw flavor and marvelous soundscape. 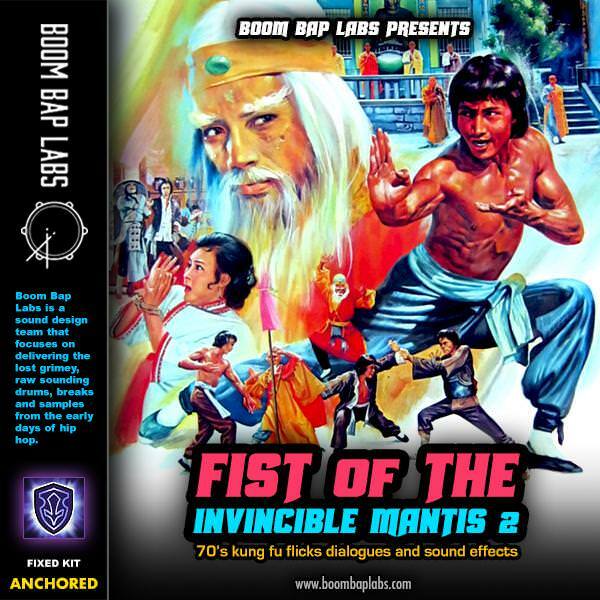 With Fist of The Invincible Mantis you get more than 110 sound effects and dialogues all properly chopped and ready to blend with your next projects. They can be use in multiple ways to create your own scenarios or simply use to accentuate dope rap lyrics.